There seems to be beauty and importance in even the most mundane of objects. By capturing the up close details of something small and rather passable, you get an idea of just how complex life and physics can be at a micro scale. 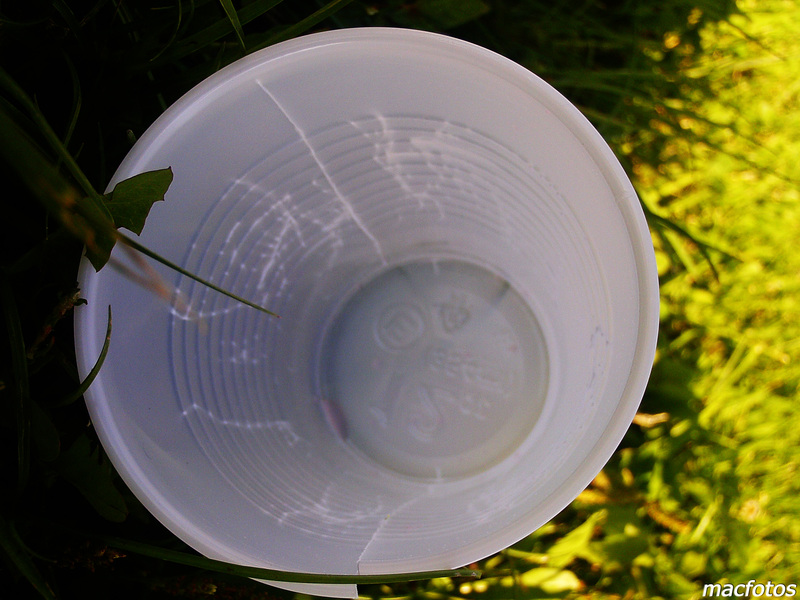 This was a plastic cup lying in someone’s yard today. I framed it and by doing some fun post processing in the old Adobe, I picked up the cracks and line along the body. 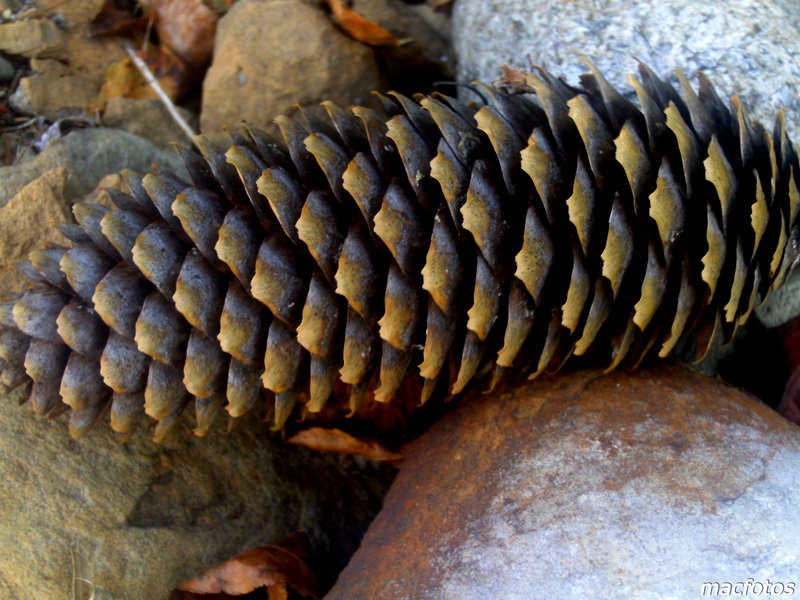 I’ve never gotten an up close picture of a pine cone so clear until today. The individual layers appear so sharp and I can see that everyone of them has a little notch in the center, like ears of a cat. 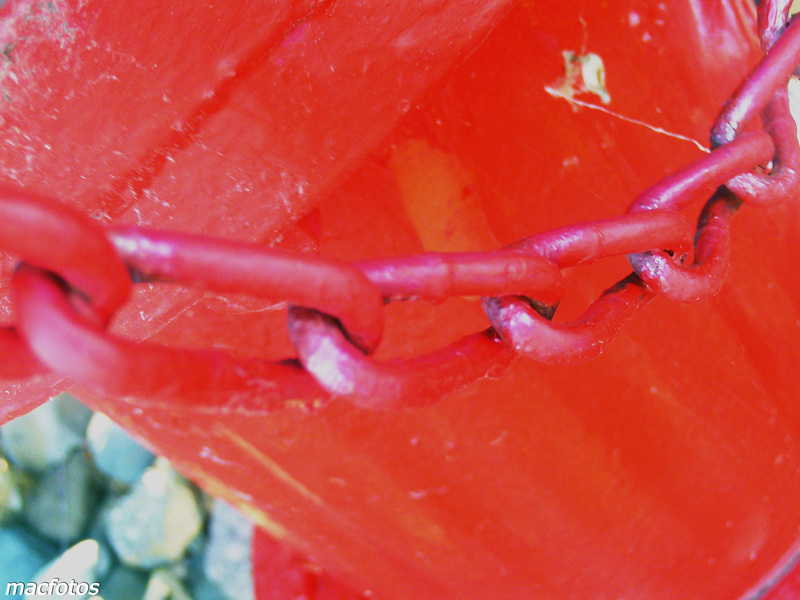 The red chain of a fire hydrant. 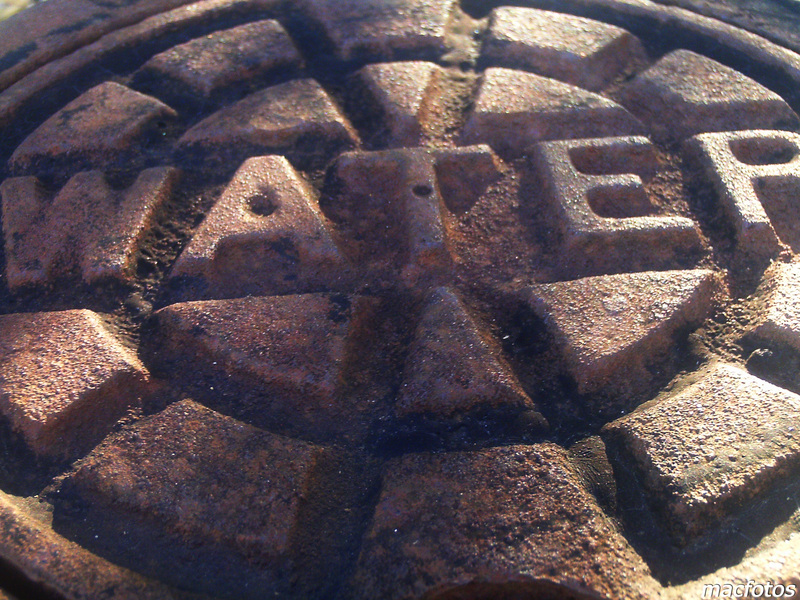 The cover of a water reservoir or storage unit, near the fire hydrant, though I’m not sure what it is exactly. I’m able to see that the letters obviously were cast in a dye. 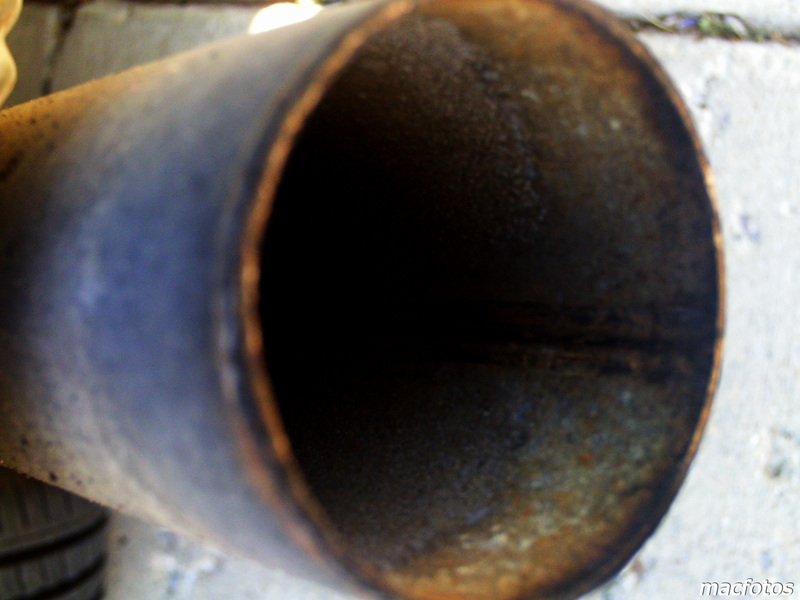 The exhaust pipe of my mom’s Ford. A long dark tunnel of grit and rust.